The University of Notre Dame’s Institute for Church Life (ICL) has launched a new online adult faith formation program for Hispanic Catholics. 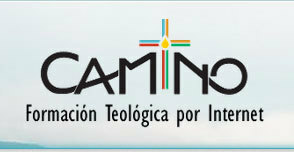 The program, Camino, is a collaborative initiative of ICL’s Satellite Theological Education Program (STEP) and the Southeast Pastoral Institute (SEPI). Designed by university professors and national leaders in Hispanic ministry, Camino courses concern catechetical topics and particular needs in Hispanic ministry. Participants engage in the program through video lectures, homework assignments and interactive discussion forums. The principal course in the program, “El Camino de la Fe,” will be taught by Notre Dame theologian Timothy Matovina, using the Spanish-language edition of the United States Catholic Catechism for Adults as its primary text. “Bishops and pastoral leaders across the United States have pleaded for quality faith formation programs that engage the fastest-growing population in our Church,” Matovina said. “Camino innovatively addresses that need and mutually enriches Notre Dame and our Hispanic sisters and brothers." More than 450 people from some 25 U.S. Catholic dioceses have enrolled in Camino so far. Course participants include catechists, lay ministers, deacons and others involved in Hispanic ministry who seek theological formation in their native language. More information on Camino is available on the program’s bilingual website at camino.nd.edu. To view a video explaining the program, click here. Originally published by Michael O. Garvey at news.nd.edu on February 23, 2015.